We’re excited to announce the debut of Hayward on Instagram! Instagram is great for instantly sharing photos and videos from your smartphone. You can also personalize your posts with a variety of cool effects using its built-in filters too. FUN FACT: Instagram is the fastest growing social network — over 800 million daily users and counting. If you’re a pool lover, you can show off your pool, spa, and backyard. Use #Pools to check out pools on Instagram and post your own photos of fun-loving friends and family enjoying your pool and spa. 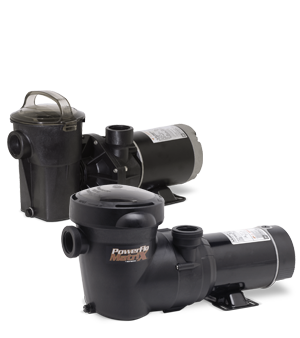 Follow Hayward on Instagram at our handle @HaywardPoolProducts. See inspiring pool photos, tips for pool owners, and news on the latest pool trends. If you post a picture of your pool (at home or while on vacation), make sure to tag our handle @HaywardPoolProducts so we’re sure to see it! 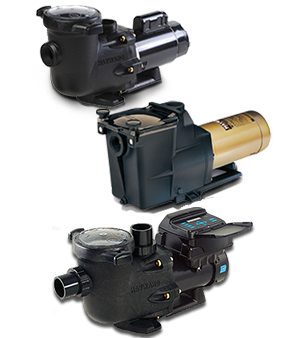 At Hayward, we’re more than just cutting-edge pool equipment. For over 80 years, we’ve been helping families enjoy the pleasures of pool ownership. 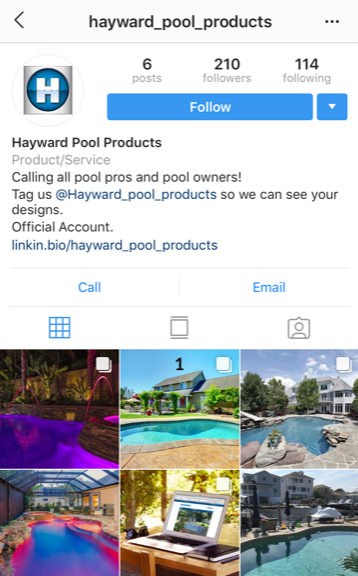 By following us on Instagram @HaywardPoolProducts, you’ll get in on all the latest pool news and trends. Just visit our Instagram page and click the bright blue “Follow” button. Once you follow us, you’ll see all the great Hayward posts in your newsfeed. You’ll even see beautiful pool reposts from our very own Hayward Pool Builders and Partners. Take a look at Instagram to see how others are creating cool pool posts with images, filters, captions, and more. You can learn a lot from others. Have fun with Instagram posts. Take a shot of your refreshing poolside beverage, show off trendy swimwear, feature the latest pool floaties, or take a video of your family splashing around in the pool. Anything goes! Snap a photo of your pool or backyard oasis and add a caption and hashtags. Mention us @HaywardPoolProducts and we may feature your photo! Post it for others in the Instagram community to see and watch the “likes” add up. Make use of captions to help your followers understand the context of the photo or video. Captions add personality to your posts and encourage viewers to take your desired action. Hashtags(#) are keywords that connect you with others. Add hashtags to help others find posts with similar topics. Depending on your choice of words, hashtags can also add personality, humor, and context. Give it a try. In addition to Instagram, you can follow us on Facebook, Twitter, LinkedIn, Houzz, Pinterest, Google+, and YouTube. Our posts highlight inspirational pools, provide helpful ideas and tips, introduce advanced Hayward products, announce sweepstakes & rebates, and emphasize pool industry news. For even more information about swimming pools, spas, and Hayward products, visit all of our online resources. Our website, blog, and pool design inspiration site provide visual and written information to assist pool owners in having the best possible pool experience. Hayward Residential and Commercial Pool Website – This is Hayward Central! Everything and anything Hayward can be found right here. Find a professional pool pro on our Dealer Locator, just by entering your zip code. 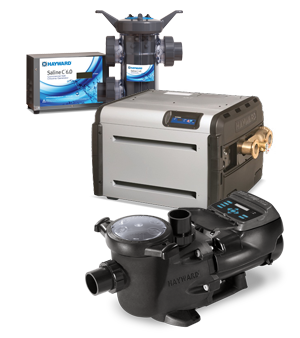 Learn about our advanced technology products for in-ground and above-ground residential and commercial pools. Register your product warranty, explore our current rebate offerings, get helpful support, and access a multitude of resources. Hayward Poolside Blog – Want to know more about pools? 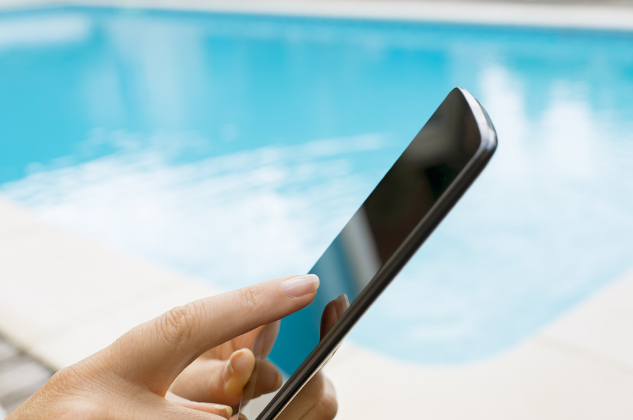 Our Poolside Blog addresses a wide variety of pool topics. Learn about pool chemistry, converting a traditional pool to saltwater, building a new pool, and more. Each blog article explores a pool topic in-depth. Look for dynamic links to additional helpful online content. Sign up today to receive our latest blog posts delivered directly to your email inbox. Hayward MyDreamPool.com – Visualize your in-ground dream pool on this stunning pool inspiration website. Let us help you to plan your budget and inspire you with our photo gallery and virtual dream pool tools. Plan and budget all in one place, using our Virtual Dream Pool tool. Get started in 4 simple steps. Ready to build? Locate a highly qualified pool builder by simply entering your zip code and your desired pool type. We’re pumped about being on Instagram, the fastest growing social network. Best of all, we’re looking forward to hanging out with you. Come on over to see Hayward on Instagram and like our Instagram handle @HaywardPoolProducts. We can’t wait to see you on Instagram!